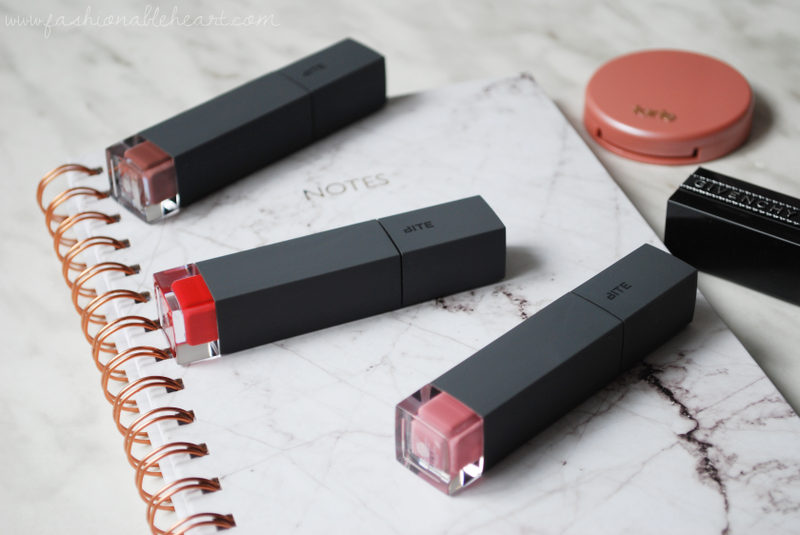 Bite Beauty has some of the best lip products I have tried. 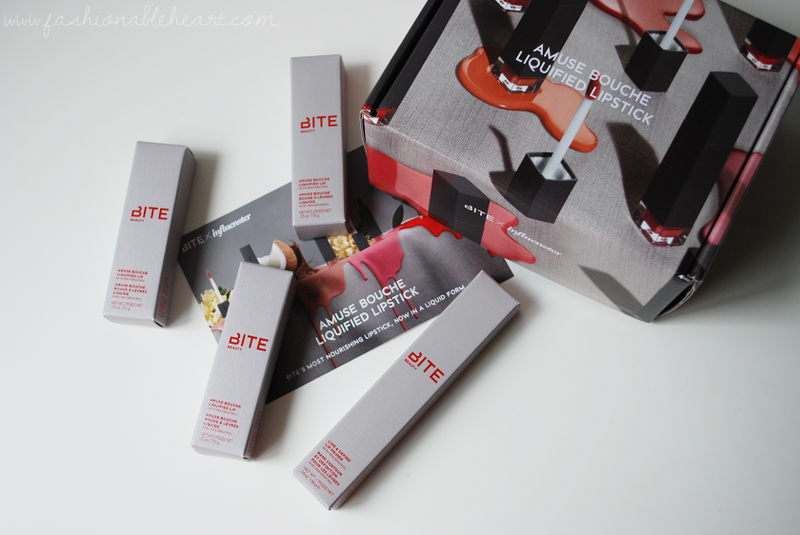 And when I was told that I would be getting the Amuse Bouche Liquified Lipstick Influenster Vox Box, I was ecstatic. I had already been stalking Temptalia for swatches and info at the time. And what a fabulous box it was! Influenster sent me three of the Liquified Lipsticks in Flambe, Eclair, and Demi-Glace, as well as Bite Beauty's Line & Define Lip Primer. 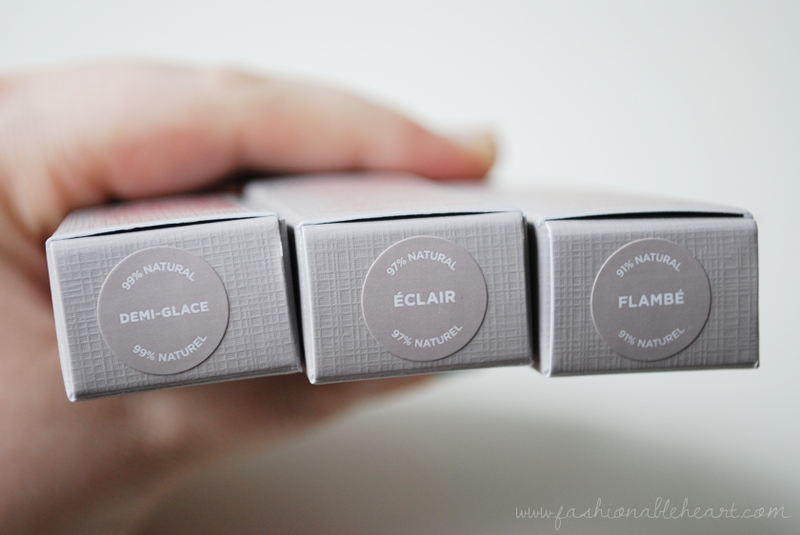 If interested in the swatches and hearing what I think, keep on reading! It's a slim pencil with the primer on one end and you can pop off a sharpener on the other end and the product twists up. It has a minty scent due to the use of mint leaves. The product is 100% natural. 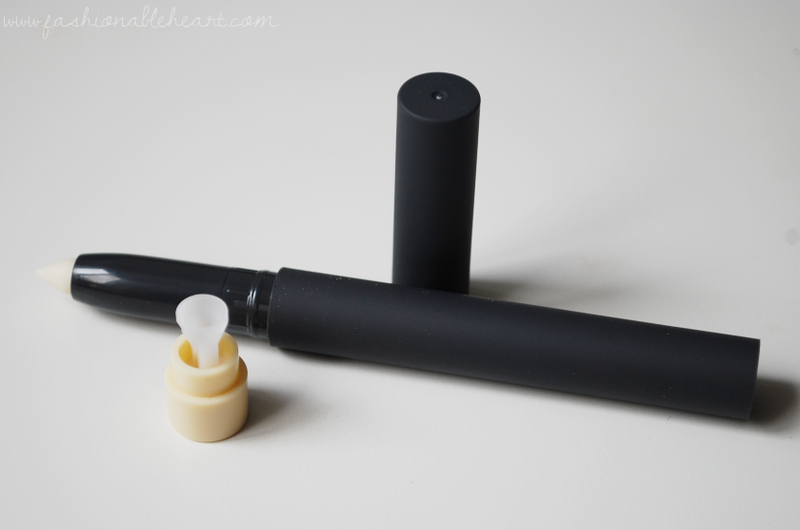 You simply use the point to line and use the flatter slant to prime the rest of the lip. 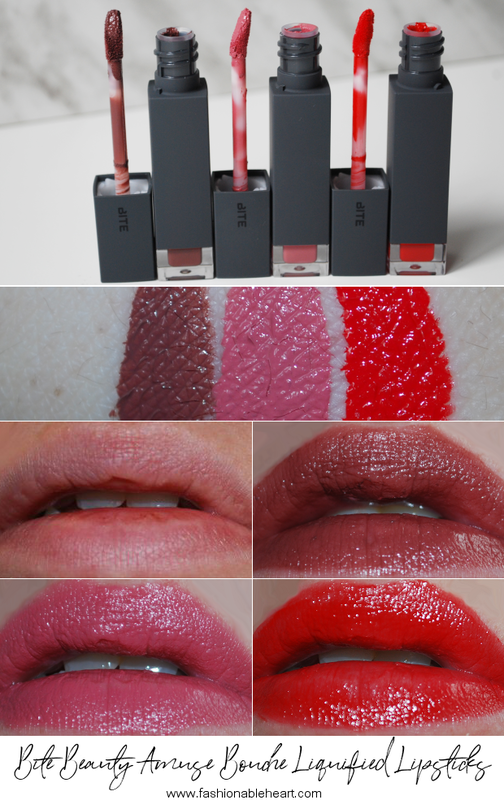 This formula is meant to moisturize your lips, make the color last longer, and prevent feathering. I do like the use of jojoba and argan oils! I did not notice much plumping. And while it seemed to work well with the other two shades, I found that I still had a bit of a streaky application and feathering with Flambe. It's a chocolate brown and way out of my comfort zone. I mean, I wore colors like this in the 90s during the massive brown lips craze but I haven't really delved into them since. For me, I'm more attracted to darker lip colors in the fall and winter. I think I'll try this one lightened up a bit once fall is here, but as of right now it is my least favorite of the three. But oh my gosh, it would look amazing on darker skin tones. I was impressed by it applying evenly and not feathering. Ah, my favorite of the bunch as if a lot of you are even surprised. This rose shade is so perfect for everyday wear and has gone with every look I've tried it with. It has quickly become the pink that I reach for the most. It's a warm medium pink, so I think it would suit a lot of different people. This is bright, VERY bright! The color itself is a poppy orange-red and I don't have a single shade in my collection like it. I found it applied a little streaky on my lips and feathered out a bit. I had to work with it a little more. I love a good bright lip every so often, but this might just be the brightest I own now. It's not bad, but I definitely have to be in a certain mood to wear it. For those upcoming holiday makeup looks with red lips, this one should be on your radar. As for the packaging, I love the clear window at the bottom to let you know the color. I also love how the lid has a click that you can feel when closing it, letting you know that it is secure. I like the shape of the wand, because it picks up just enough product. I use the pointed end more for the edges and the flat side to fill in my lips and it works perfectly. They all go on creamy and I have no issue with them emphasizing any dry patches, with or without the primer. Bite Beauty knocks another one out of the park! I'm eyeing up Stir and Cava next. Have you tried these yet? I'd love to know what you think! **I received these products for testing and reviewing purposes from Influenster. All pictures and thoughts are my own. There are no affiliate links in this post.